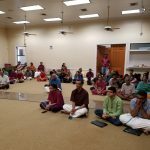 Sri Ramanujamji conducted yet another powerful satsang at the Shirdi Sai Baba Temple of San Antonio on the evening of Sunday,March 11 2018. 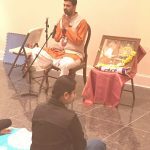 As a beautiful and apt prelude to the Maha Arathi service, Sri Ramanujamji spoke beautifully on Guru Mahima. 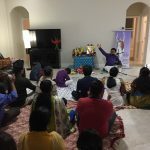 He emphasized the importance of a Guru by pulling references from a variety of sources including (and surely not limited to) the Brahma Sutra and the multifaceted dohas of Sant Kabir Das. 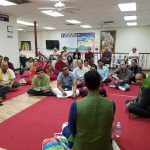 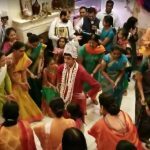 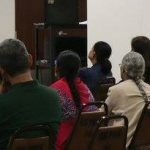 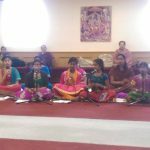 The close audience of 45 was totally enraptured and the temple officials requested that such GOD events take place more often at the Shirdi Sai Baba Temple of San Antonio.